Service of Process: With most other Process Servers or Sheriff's Offices you will find that your document's do not get served correctly leaving you open to a dismissal or an adverse ruling against you, or they just don't get served at all! We serve your paper the right way the first time so you can rest assured that this will not be a problem later. We pride ourselves on giving you 110% on every serve! 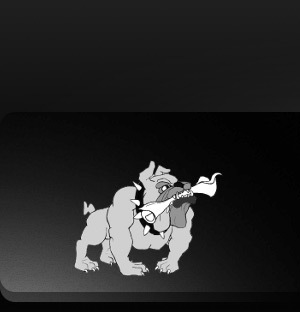 With Bulldog Legal Support you will also come to enjoy our"Bulldog" approach to serving papers. Our Servers are professional and courteous while aggresivley pursuing our target! Unlike alot of others out there we will not just send it back after three attempts as a Non-Serve. We will pursue every avenue we can to get them served. After all avenues have been exhuasted then and only then will a Non-Serve be issued! We will quote you a price up front and we will not exceed that price without authorization from you. Document Retreival / Pick-up: We can file your document's for you or Pick them up, scan end email them and or send them to you via the method of your choosing. Real Estate Posting: Whether it is an Eviction Notice, Notice to Quit or Notice of Trustee's Sale we can post the property for you and provide a picture of the posting in place and an notarized affidavit. We offer a wide variety of services at Bulldog Legal Support. Don't see a service listed? Call us and we will see what we can do. We offer services from process service to debtor address verification. Copyright (c) 2009 Bulldog Legal Support, Inc.. All rights reserved.